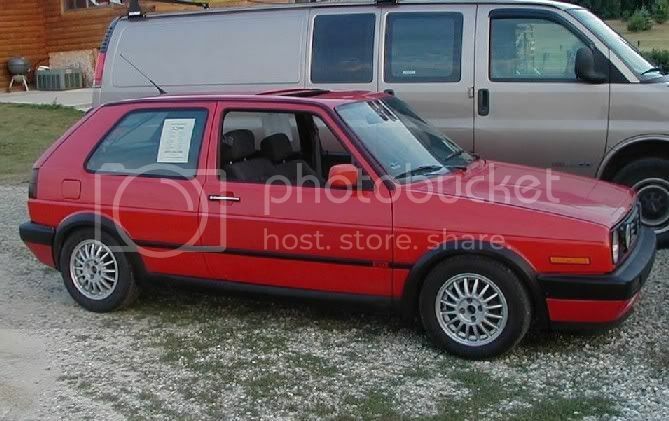 Sometime back around 2003 I convinced my girlfriend Jayme to drive with me down to Alabama so I could buy a rust free ABA swapped '88 Golf GL built by Jeffrey Bynum (who would later go on to build some PVW feature level VW's). It was my ride through college, the car I had when I joined MIVE, and the car which gave me the username I still use today. (ABA being a cross flow head design, intake on front, exhaust on back, as opposed to the earlier counter flow 8V head design). Here it was in it's prime gassing up before a MIVE track day at Gingerman. After graduating from GVSU in '05, I sold it to Ben Zeeuw, who took great care of it, swapped on small Euro bumpers, but then it resold, and resold, and resold, and worked it's way down the consumption phase over a decade. That's where I found it, online For Sale, electrical problems, supposedly consuming oil, and not running looking far worse for wear. I went to see what it looked like in person. Hmmm. I slept on it, but it kept coming back to my mind... The price ended up being too good, so I struck a deal and dragged it home. Thanks Turner for use of the tow rig. You have your work ahead of you. There is nothing like a previously owned car to push you on to do it right. In for Caprice pics . There's definitely something about buying back a car. Outstanding work. I was wondering if you still had this on your mind and if you were going to get it. A short while before buying this back, and a big influencer in my decision... I had bought another old MIVErs abandoned project. "Silverbeast", which was last touched around '05. 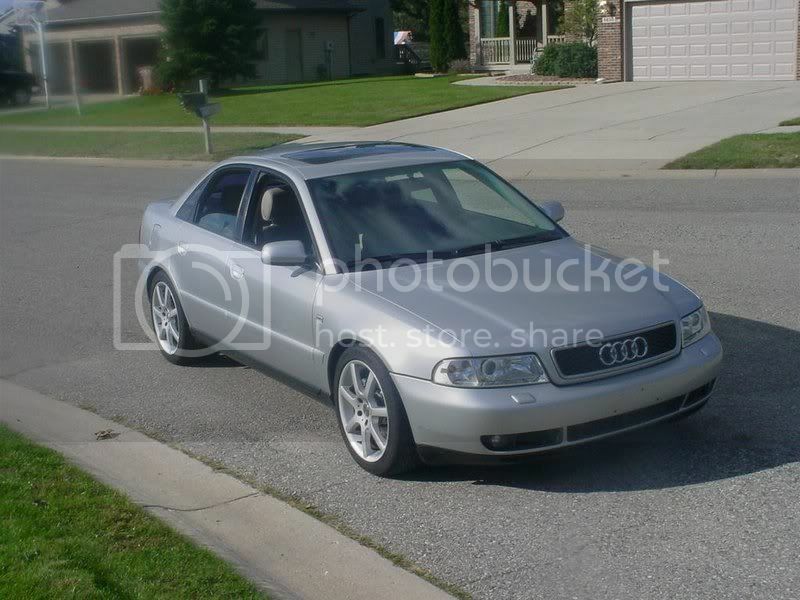 It has a 2.0 16V from a B3 auto Passat, 5- speed Trans, and an incompletely tuned Megasquirt V2 setup. In a small world twist, it's an engine I actually yanked from the Passat and sold to the owner of this car a decade ago. So off we went again in the Caprice to drag it home. A few free nights and yanked the drivetrain. And now that shell is ready to find a new home. 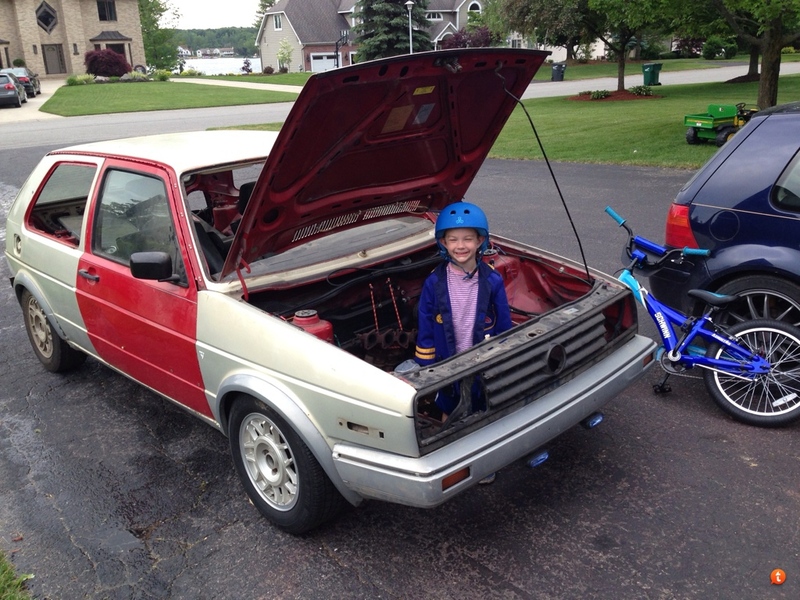 So the plan is to yank the tired ABA, and install the 2.0 16V. In the process I'll clean things up a bit, rewire some things, and then use the car to learn Megasquirt tuning. From 2, make 1. On a low budget. Nice, was this a car stripped back the alley garage for the passat donor? The Passat was yes. In the old garage back off Watson on the westside. thats what I thought. I remember your golf very well. very cool to see you have this back. I remember spotting the golf years back in Lansing. Looked good then, glad you got it back can't wait to see it come together. Awesome! I'm excited to see you tackle another project.